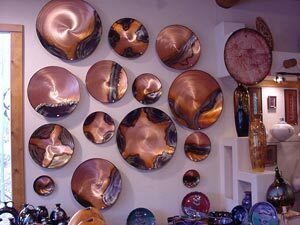 Categories: Copper Wall Art, Pat Shannon. Patrick Shannon has been living in the beautiful hardwood forest of Northern Minnesota for most of his adult life. Nature, art, and the legacy of indigenous people continue to provide inspiration and direction for his work. 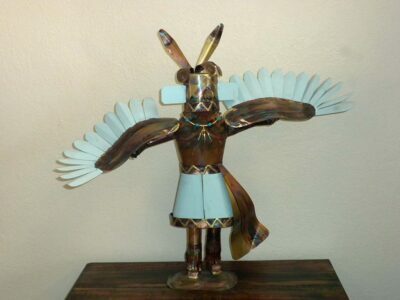 His career began with clay (hand built pottery and sculpture) and has recently shifted to metals, primarily copper and steel. 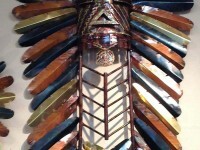 The work is a result of many different techniques and usually involves incorporation of a multiversity of materials including such things as natural reed, wood, stone, etc. 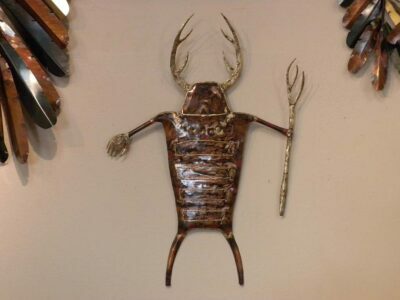 Patrick and his partner, Helena Johnson, built a gallery and sculpture gardens on their beautiful acreage in the Minnesota countryside. 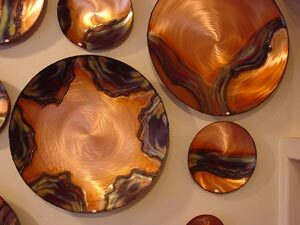 Copper plates with rocks available for extra charge.